The Thursday Post sports section has a breathless article about Ted Leonsis, owner of the Washington Wizards basketball team and the Washington Capitals hockey team, and his points that (1) people will pay for access to sports programming "and that is counter-intuitive"; (2) that while it's great to sell sports programming to middlemen like Comcast; (3) it's better to own it yourself; and (4) that the value of the team in total = content + the delivery system + the building as an e-commerce platform. For another perspective on the value of what we might call "content platforms," see "Universal Plans to Expand Harry Potter Theme Park" in the New York Times. While I would agree that the content, in the case of professional sports, "the team," is the most valuable and key asset, without a place to play it's worth very little. 2. As the basis of a e-commerce platform, stadiums and arenas are worth more than the teams are paying to cities for using them. This isn't anything new, even though the article makes it out to be. What is new is that he described the system in an easily understandable and graspable manner. And it makes clear that the value of the building is much higher than localities are receiving in rents and other economic benefits for paying for the building. "And then once we reclaim our rights, then we would go to Comcast and Verizon and DirecTV, and say there is no Comcast SportsNet, you deal with Monumental Network. And then we have all this programming and news and more, plus you watch Caps games, and then you'll watch Wizards games and Mystics games. And we'll build a lot of value into our network, and then we'll be a fully developed regional sports and entertainment [company]. We'll own the building, which is really an e-commerce platform. We'll own the teams, where we get reoccurring revenues, like a software company. We'll have e-commerce sales; people buy hats and jerseys and food and the like. We'll have content that's valued very, very highly. You have to trust me that what Comcast and the cable guys pay Comcast SportsNet is a lot more than Comcast SportsNet pays us. ..."
While he is complaining that the broadcasters and cable networks capture more of the value of broadcasting the team than the team is, at the same time he's not pointing out that the team equally has an unbalanced, but favorable to the team, relationship with the locality that typically pays for the building. 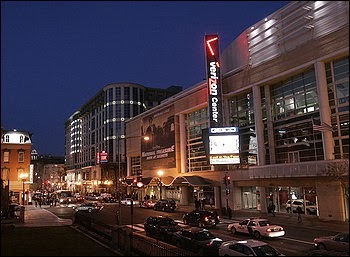 The Verizon Center (pictured left, Washington Post photo) technically was not paid for by the city, while the city did pay for the construction of the Washington Nationals baseball stadium. However, the Verizon Center has benefited from significant city expenditures on infrastructure, tax exemptions, special financial provisions for arena upgrades, and changes to laws allowing for digital advertising to be placed on to the building. These types of considerations have not been adequately monetized by the city. Virtually all of the financial benefits flow to the company that owns the building and the teams, Monumental Sports and Entertainment. 3. The reality is that most of the rise in the value of professional sports teams over the past 30 years has been associated with the ever increasing value of broadcasting rights. As the number of opportunities to distribute programming expands beyond "over-the-air" broadcasting, these rights continue to climb in value. The reason I say that Leonsis' comments aren't new is that the value of teams as content has been understood for a long time. TV operations pay dearly for these rights to differentiate their networks, as part of branding, etc. For example,in the 1980s the Fox TV network was launched brilliantly through the acquisition of NFL broadcasting rights. It was worth it to them to pay stratospheric prices for those rights because it made the network instantly recognizable and legitimate. The Yankees created their own cable network at least 10 years ago; I believe the Boston Red Sox own their network; and sports teams owned by Cable companies (Philadelphia 76ers/Flyers, New York Knicks/Rangers, Atlanta teams by Turner Broadcasting/Time Inc. etc.) do this too. As do college football teams (U Texas) and leagues (Big Ten, etc.). And the NFL (NFL Network). 'The huge price paid for the Los Angeles Dodgers was justified out of a belief that the team was inadequately realizing its television and digital broadcasting opportunities, that the new owners could better monetize the value. In this scenario, sports teams are becoming "media," a form of content, that produces more value from reproduction and distribution of the ability to view events than it does revenues derived from viewing events in person. And note that Leonsis worked for AOL, which for a time had merged with Time Warner, owner of the Atlanta Braves and other sports properties. Parenthetically note that US sports franchises are buying soccer teams in the UK (the owners of the Tampa Bay Buccaners football team and the Boston Red Sox baseball team) out of the belief that they can better monetize the value of those teams, although UK fans are not happy that team owners like the Glazers are more focused on making money than winning, see "Manchester United: Profits before goals" from the Financial Times. 4. What is new is making the conceptual jump and recognizing that the stadium-arena is the enabling element, and therefore even more valuable than it already is. 5. Cities need to capture more of the value of the platform: the revenue split between teams and stadium-arena owners needs to be better balanced. The reason that this article is important is that the quote demonstrates that the arena-stadium enables the whole operation, confirms that the stadium-arena is the foundational element of the content + delivery mechanism platform. Without the stadium-arena you have no platform. And despite what Leonsis said, for the most part sports teams don't pay for their building, they don't own it legally. 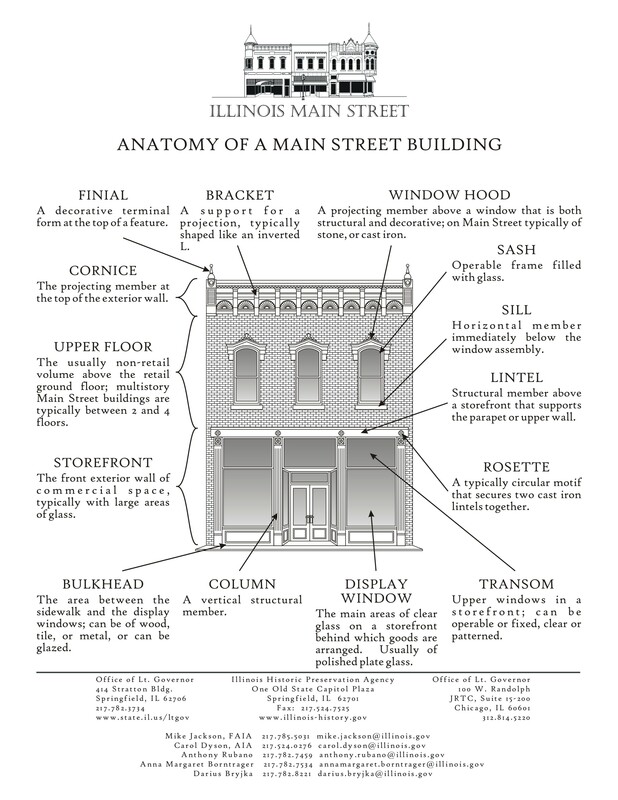 Usually, it's owned by the locality that most likely paid to build it. But for all intents and purposes they do own the building, because typically they have a long term lease and minimal rental payment obligations. The value of these buildings is much much higher than the localities are getting back in income. This equation needs to changed to be more favorable to the cities that are providing the platform, rather than to the teams that get most of the financial benefit from using the platform. 6. Digital advertising as a model for change to public sector-business relationships. One area where you are starting to see a change in the financial relationship between localities and businesses in the split of revenue from the use of public assets-public space is with billboard companies--so long as the locality hasn't signed a long term contract and/or not built into the contract the ability for revision as technology changes. Digital advertising in bus stops and on billboards is a lot more profitable than the old method of static ads. In Greater San Diego, billboard companies are offering as much as 52% of the revenue to the locality in return for approvals. There is the issue of monetizing the public space, "dirtying it up" with ads, etc., but if there are ads there already, then the more favorable revenue split is way better than letting most of the benefits flow to the advertising company rather than to the entity that "enables the platform." Critics say allowing digital billboards along North County freeways would create blight in the community. Supporters say they would give local businesses an opportunity to attract more customers. They would also allow cash-strapped municipalities such as Vista to grab a slice of the advertising revenue the signs would generate. Bret Schanzenbach, executive director of the Vista Chamber of Commerce, said digital billboards offer too many advantages to pass up, including promoting community events and boosting the city’s income. ... In January, the Vista City Council asked its staff to begin negotiations with CBS Outdoors, one of the largest billboard companies in the world, to build two digital billboards along state Route 78. On Tuesday, the council will review a draft agreement with the company and give city staff directions on how to proceed. Under the terms of the agreement, the city would get a 52 percent share of the billboards’ revenues, about $300,000 to $400,000 a year, according to a city report. This article about the Golden State Warriors specifically calls their forthcoming new arena key to maintaining their dynasty, including generating revenues from ancillary development as a way to pay towards the team. Holy s***: the new LA football stadium is now expected to cost $3 billion.